Posted April 1, 2013, in Featured Publication. The influence of contrasting ground cover vegetation on soil properties in the NJ pine barrens. 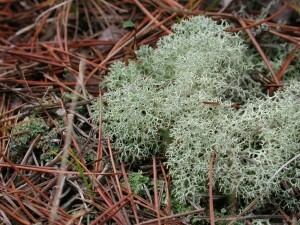 Differences in edaphic factors of ersistent patches of three herb layer community types: ericaceous, graminoid and lichen–moss dominated communities in the New Jersey pine barrens in close proximity to one another, from three different forest locations were examined. Our results suggest that the subtle physical and chemical property differences between each of the communities may be due to a biogenic origin. This may explain, at least in part, the persistence of differing herb layer community type dominance. Page last updated by Department of Biology at 12:05 pm April 30, 2013 . This page was printed from http://biology.camden.rutgers.edu/2013/04/01/john-dighton-3/ at 6:18 AM Sunday, April 21, 2019.